Welcome to Michael King's world! When I met Michael King for the first time he seemed a typcial Aussie bloke with interest in old guns and antique cars. But if you look beneath the surface you find a different man. One who cares about the planet and the people on it. I have found that he will go to whatever length is needed to help his students grow as people. Michael truly combines the Australian spirit with his world view. I am a Medical Doctor and about as sceptical as they come but Michael has some kind of unexplainable magic about him. I have no idea how he does what he does but it works. Working with the courses the Cosmosis® Mentoring Centre has to offer has improved my personal and professional life in a variety of ways. In my clinical setting it allowed me to assess the roles that I was playing and realign them to get better outcomes both for my patients and for myself. I was able to decrease my stress levels and improve my time management. I became a more effective healer through learning to set my intentions to listen and holding a field of compassion for my patients. There is nothing else quite like the Cosmosis® Mentoring Centre training. It truly is revolutionary. It frees you from fear and provides insight into who you really are like nothing I have ever known before. A voyage of self discovery and self empowerment that was so much fun it makes me smile just thinking about it. Do yourself a favour and really explore this training and it will change your life. Working with Michael and the Cosmosis® Mentoring Centre, has quite literally changed the shape of my life, both personally and professionally. With the learning and support given to me through the mentoring programme I have been able to see new possibilities, and gained understanding into what my passions were and where I wanted to head in my career and in my life. This has allowed me to become both a more skilled psychologist, and a more confident, loving and compassionate person. I now have far more impact and success in my work, as well as enjoying it so much more. I also have more clarity, energy and joy and have learned the importance of letting go of the past, creating a present that you want to be a part of, and living the life you love. Michael shows how to live life fully, love unconditionally, and inspires me to choose to support the development, growth and learning of all humanity so that we may be part of creating a world filled with harmony, joy love and respect for all. Michael King is the founder of the Cosmosis Mentoring Centre which delivers holistic personal growth mentoring services with fully government qualified Mentors and Coaches using our Cosmosis Transformational Coaching Process. Michael has experience in many varied fields ranging from engineering design, development and manufacturing, personnel management, college teaching, the entertainment industry, information technology, management and skills-based training, and alternative therapies. He is fully Australian Government qualified as a Life Coach and Mentor. Cert IV in Life Coaching and Mentoring. 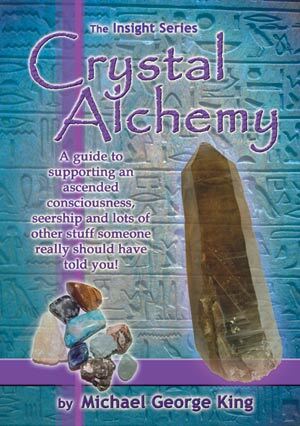 Michael works as a mentor and educator within the fields of self mastery, philosophy, alchemy, metaphysics and ethics. To understand what this means we must first define these terms. Self self/ - A person's essential being that distinguishes them from others, esp. considered as the object of introspection. Philosophy - phi·los·o·phy/fəˈläsəfē/ - The study of the fundamental nature of knowledge, reality, and existence, in other words 'the meaning of life'. Alchemy - al·che·my/ˈalkəmē/ - The science of the transformation of matter from it's base nature into it's highest potential and most refined state. In other words 'refining one's animal nature and character through mastery of self'. Metaphysics - met·a·phys·ics/ˌmetəˈfiziks/ - The branch of philosophy that deals with the first principles of things, including abstract concepts such as being, knowing, cause... i.e. that which is beyond the physical world. Ethics - eth·ics - Principles that govern a person's or group's behavior within the context of their collective and sustainable wellbeing. You can read Michael's article on the History of Alchemy here. Michael has no affiliation with any earthly religion, hierarchy, philosophical school, club, lodge or society, on any level (excepting the Vintage Car Club in Perth). This is not about any existing religion or philosophy although Michael has studied Comparative Theologies and Philosophies for over thiry years. He operates independently of any existing faith or group with his own very strict CMC code of ethics. He neither condones nor dis-approves of anything, for him is all simply is as it is. He makes no grand claims, he simply offers his knowing and understanding to others in the hope that it brings greater joy, clarity and understanding into their lives. Michael says "although the space universe affords and allows the complete actualisation of the experiential absolute and the non-existential trinity, it is however inconceivable that the quantitative infinite could ever be realised within finality". Michael engineered and co-developed a transformational coaching process called Cosmosis™, which is offered to interested students of the Cosmosis Mentoring Centre. Cosmosis™ is an internal process for personal growth that enables you to change how you respond to the world. This personal growth process changes your personal reactions and feelings about the people and situations in your life, and, instead of simply reacting to life, empowers you to consciously choose how you respond. It transforms your old programming and fear-based belief systems. The process has nothing to do with anyone or anything else, it’s just self meeting self time and time again until you get the message that everything in your environment is a reflection of you, and that your life is your creation. "We live in a world of science, technology and reason, wherein magic and spirit are denied. Some of us still know that not everything can be measured and rationalised, and if you are one of those people then welcome home. We are simply here to give you the opportunity to realise and actualise that you are so much more than you have been led to believe! 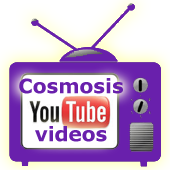 Cosmosis™ is a revolutionary tool for lasting personal and spiritual growth. It is not a miracle or a cure-all but rather a process of transmutation that alchemically allows you to clear your unwanted emotional baggage, limiting thinking, dysfunctional patterns, wounded or imbalanced states of being and to replace them with Love, self esteem, confidence, self assurance, compassion and wisdom . This allows you to progress towards embodying your highest potential as a human being, fully in Mastery of your energy, thoughts and emotions so that you no longer react to life like an automaton, but rather consciously respond to life with integrity. This enables you to be who you truly are - your authentic self and to consciously create your life, here and now with a singing heart. This process takes time, hard work and courage." You can read about Michael's life experience in his own words by clicking here. Disclaimer: The suggestions and information contained in this website support the mission of the Cosmosis Mentoring Centre to provide insight into self actualisation of the human experience that we believe when combined with lifestyle habits such as drinking pure water and getting regular exercise produce wellness of mind, body and spirit. We must encourage anyone with a health condition to seek advice from their health care professional. Welcome to The Insight Foundation, Australia's Leading Provider of Executive & Life Coaching Training. Life coaching academy, life coaching, life coach training. Naturopathy training, Management training, management coaching, social entrepreneur, social ecology, social entrepreneurship, mentoring, coaching, coach of the year, Australian qualifications framework, webinars, international coach federation, high ethics, business skills, business training, stress management, executive training, marketing, marketing and presenting, healing, healer, diploma of naturopathy, non profit, not for profit, australia, perth, west australia, western australia, teleconference, complimentry medicine, clinical study, clinical trial, herbal medicine, health and wellbeing, nutrition, scholarships, austudy, leadership, sustainability, traineeships, apprenticeships, innovation, creativity, Australian traineeship and apprenticeship system, industry training council, personal growth, mentor training, coaching course, mentor course.